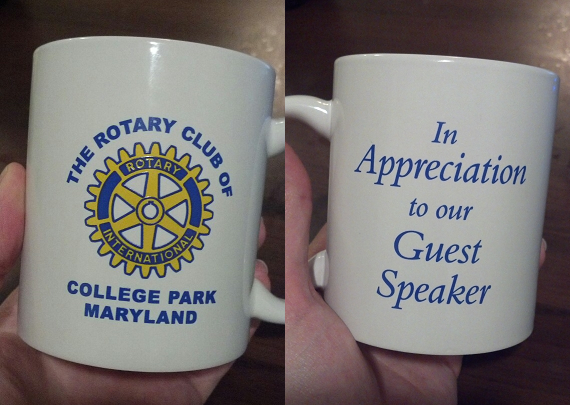 Thanks to the Rotary Club of College Park for hosting board members Richard Morrison and David Milligan as their guest speakers tonight. We introduced the club members to CPCF and received some excellent feedback on community concerns. We look forward to working with our new Rotary friends on projects in the future! P.S. – Thanks for the new coffee mug!